Client walks into all events as the host to the audience. All operational challenges will be handled behind the scenes by Winmark’s professional team. Winmark will pursue all endeavors to make the event successful irrespective of the ‘brief’ or exclusion of such activities, when they are in larger interest of event. Winmark Group - formed by a team of highly motivated event professionals, specializes in organizing International B2B Exhibitions and Conferences since 1999. 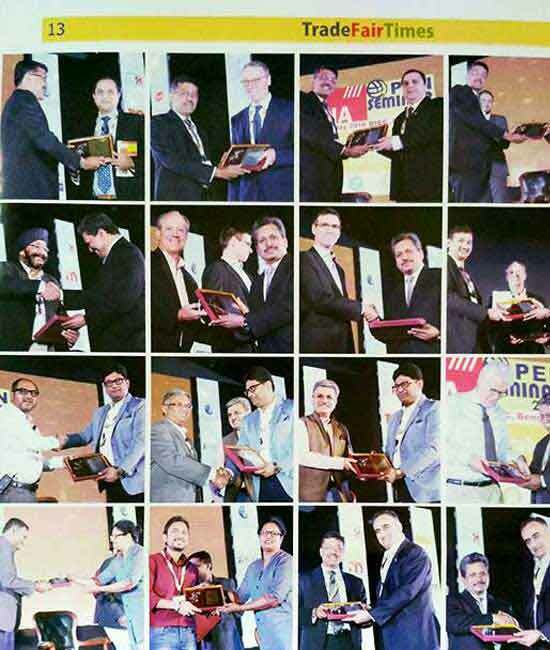 Over the past 18 years, Winmark has organized more than 44 International Exhibitions and Conferences on wide-ranging sectors like Power, Oil & Gas, Infrastructure Construction, Telecom & IT, Fluid Power, Control & Automation and Pumps & Valves, Food & Beverages and Computers & IT products in India. 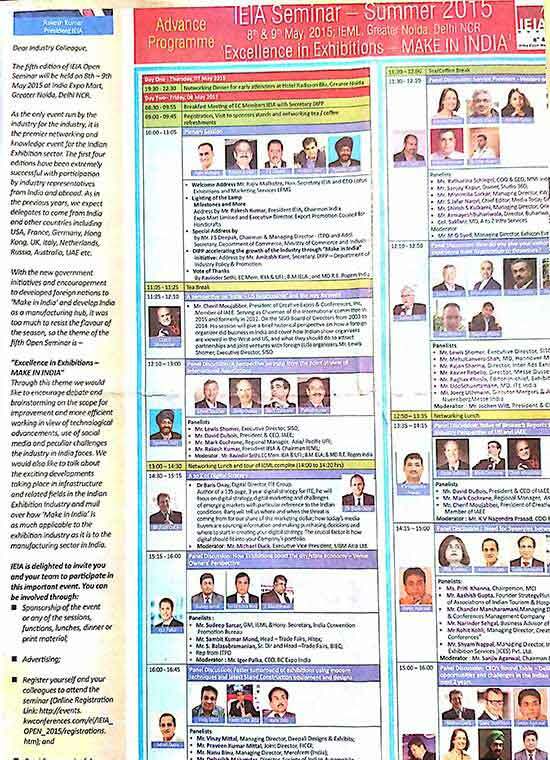 Latest edition is the China Homelife India 2016 with 1000 overseas exhibitors. 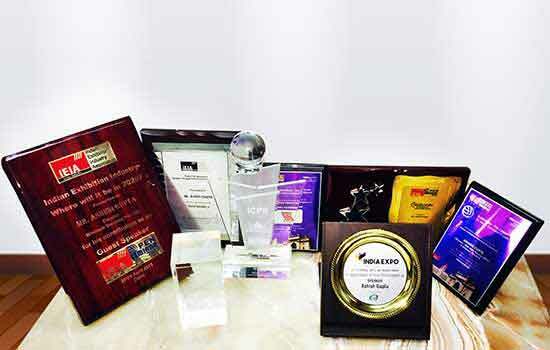 In this short span, we are regarded as one of the leading exhibition organizers in the country with the constant introduction of new trends and the ability to execute an event in any part of India; we strive to provide our clients with services which are strongly linked to the delivery of the client's core business objectives. Winmark specializes & differentiates itself from competitors with 360 Degree Activities related to the Exhibition & Conference with out-of-the-box ideas from Pre-event conceptualization, Logistics, Marketing of Exhibition Space, Designing of Hall layouts, Brochures, Publicity Materials, Delegate Recruitment, Visitor Promotion Campaigns and much more. All this is achieved with the assistance of an efficient back-office operation as well as through ‘feet-on-street’ professionals who interact with the industry on a one-to-one basis. Over the years, Winmark has developed specialized vendors who assist in creating near world class infrastructure for the exhibitions and conferences viz. total five-star ambience exhibition set-up, air-conditioning, procuring permissions from statutory authorities, electricity supply, audio-visual, computerized registrations, travel etc. Also, our in-house Advertising Agency which specializes in designing Brochures, News-Paper & Magazine Advertisements as well as releasing them in various magazines and newspapers world-wide. 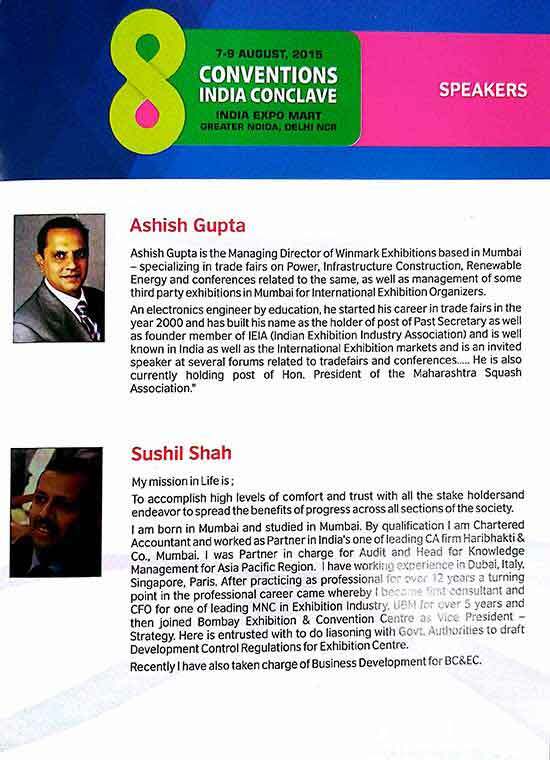 Ashish Gupta is the Director of Winmark Exhibitions based in Mumbai, having over 2 decades of hands-on experience & association with International organizations and he brings with him a global outlook. 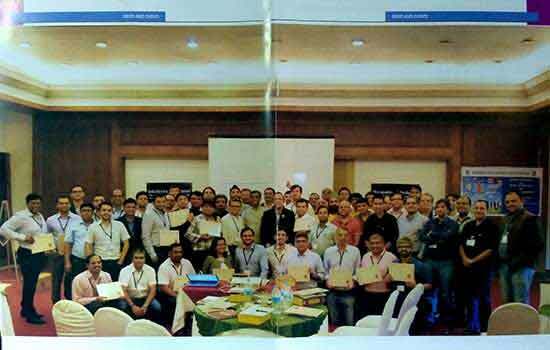 Under his leadership, the group has executed various conferences and road-shows not only in Mumbai, but also in other centres like Delhi, Bangalore, Hyderabad, Kolkata, Chennai. 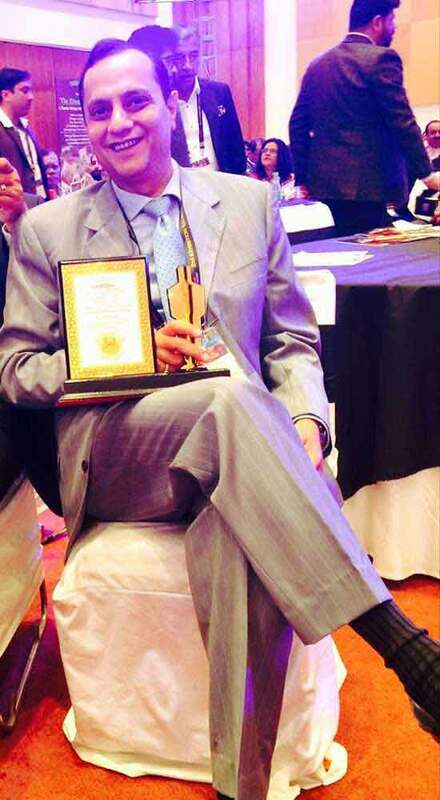 An Electronics Engineer by education, he started his career in trade fairs in the year 2000 and has built his name as the holder of post of Past Secretary as well as founder member of IEIA and is well known in India as well as the International Exhibition markets. 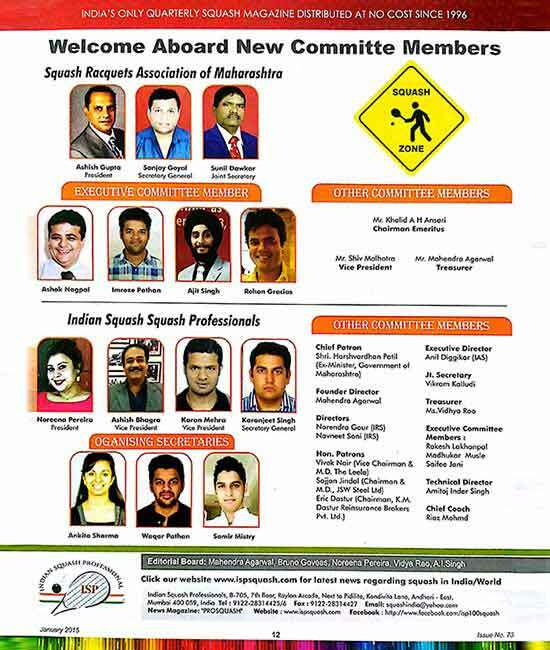 He is also currently holding post of President of the Squash Rackets Association of Maharashtra. The then "PRESIDENT OF INDIA"
Smt. 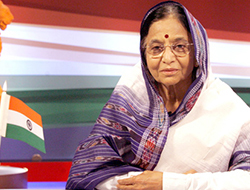 Pratibha Patil inaugurated our 2010 Triple exhibition & conference as the Chief Guest and this represents a mark of our recognition for a valuable service we provided to the industry and the country. 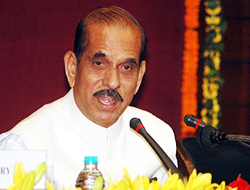 Handling high and tricky protocol of Speaker Lok Sabha, Chief Justice of India, Sr. Cabinet Ministers, Governor, Chief Ministers and several State Ministers, as well as top bureaucrats, CMD’s of PSU’s and CEOs of leading India private sector companies. 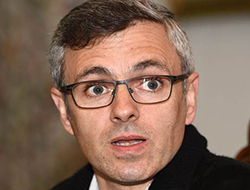 Organising Conferences in exotic locations such as Tawang – Arunachal Pradesh, Shimla & Srinagar. Executed from Concept to planning with the Support of State Government and Chief Minister of the respective states being the Chief Guest of Honour. China Homelife & China Machinex is a Global Series of Exhibition which happens annually in 11 Countries, such as- Poland, Brazil, UAE (Dubai), South Africa, India, Kazakhstan, Turkey, Jordan, Egypt, Mexico and Iran.. 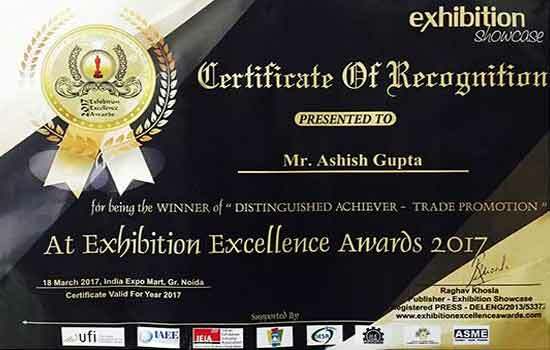 The India edition of the Exhibition started in the year 2013. 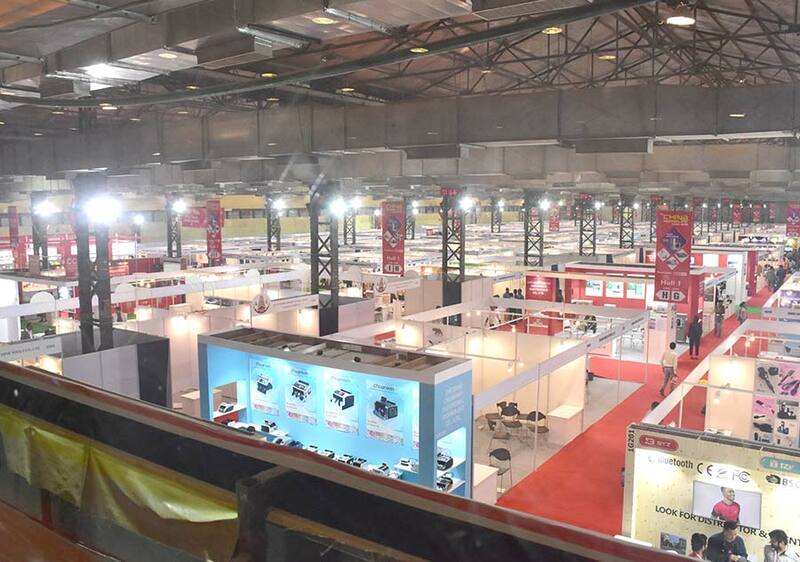 In only 3 years, the China Homelife & Machinex India has become the largest B2B China Sourcing Exhibition of the Country. The Exhibitors who participate in this Global Series Exhibition are selected through a strict quality control process which ensures you are able to meet some of the top quality manufacturers from China. The China Homelife Show India brings you superior Chinese suppliers from the home products category, presenting a lucrative opportunity for importers, traders and buyers to source high quality products directly from manufacturers at competitive prices. While, China Machinex connects over 6,000 high quality Chinese manufacturers with over 80,000 of the most important buyers in emerging markets. 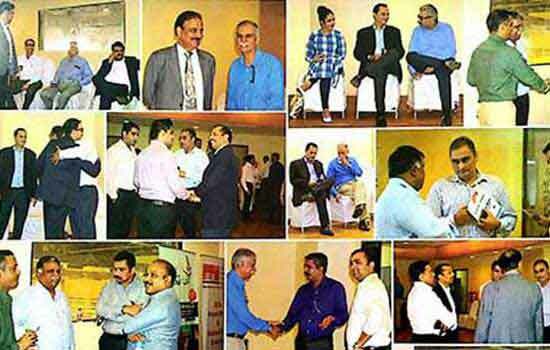 As an Advertising Agency, Pravish India offers ATL as well as BTL Marketing Services to its Clients. Its major roles include Creating, Planning and handling Advertising, Promotion and Marketing of Events & Exhibitions as well as handling Branding Strategies and Sales Promotions. Investors Trust Assurance SPC (“ITA”) is an international insurance company licensed and regulated by the Cayman Islands Monetary Authority and is rated “Secure” by A.M. Best Company. Specializing in medium to long term investment-linked products tailored to meet the needs of investors around the world, ITA offers a range of flexible, tax-efficient products, designed to suit various income levels and financial planning needs. Please refer to the S&P 500 Brochure attached for more clarifications. 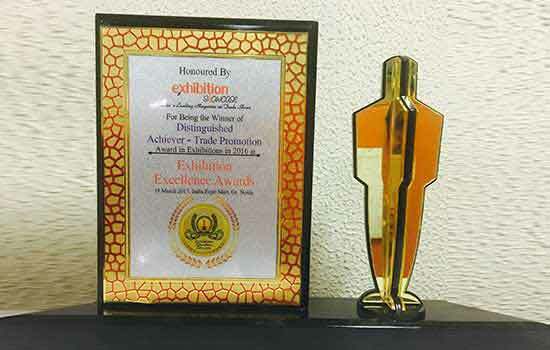 Exhibitions are for benefits of Exhibitors and Visitors and Winmark fulfilled the objective. Winmark is improving every year and 2017 will be a great show for all Chinese Industries. Indian Market is growing leaps & bounds and hence, all Chinese Machines Exhibition will have great impact on improving Indian & Chinese Market. Winmark team has done a great job and is working with full strength to achieve great height in 2017. Team Winmark will achieve its Aim. The China Machinex 2016, was a unique exhibition, a one in all products. 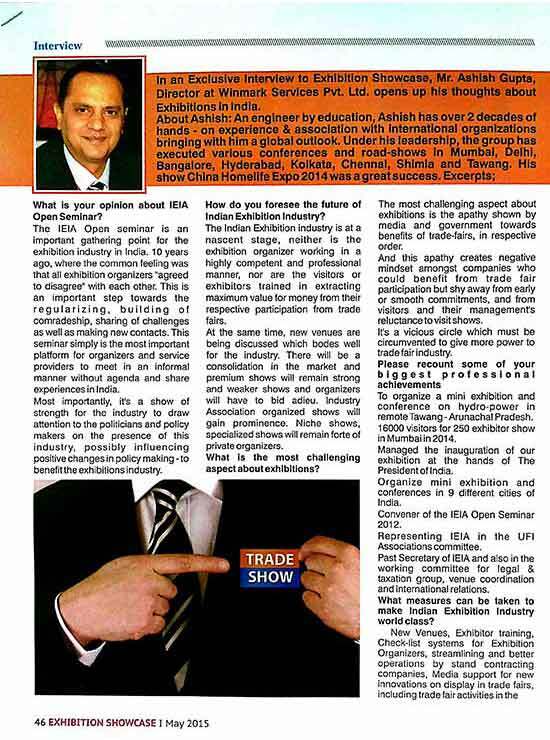 Mr Ashish Gupta and Team is very dedicated and versatile with innovative ideas. The SIES School of Packaging/Packaging Technology Centre had the pleasure of being associated with M/s. MCO – Winmark Exhibitions Pvt. Ltd., who had organized the “China Homelife India and China Machinex India 2016”, as a supporting organization. The professionally organized event had attracted the right crowd and we found our participation useful as well as generate business contacts particularly for the packaging machinery and related industries. 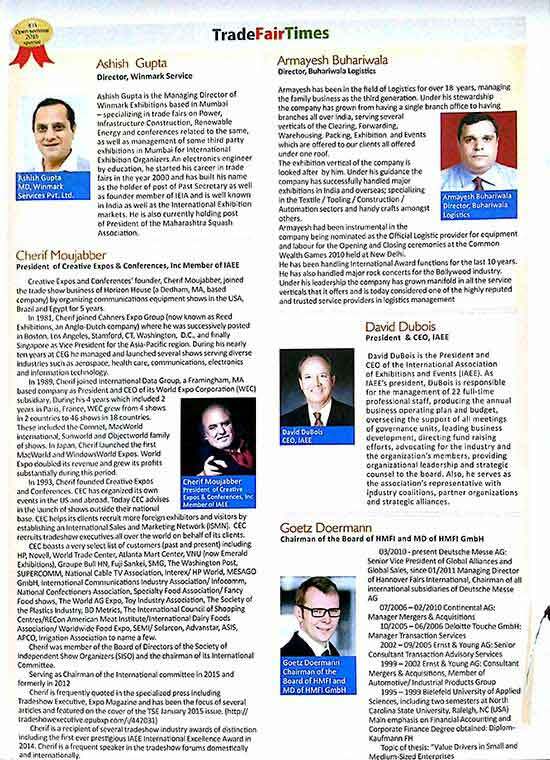 This opens up future extensive possibilities for the packaging sectors in India and China. Larger participation of packaging industries and packaging machinery industries from China in future events should create greater opportunities with the Indian counterpart industries to build – up good business relationship. 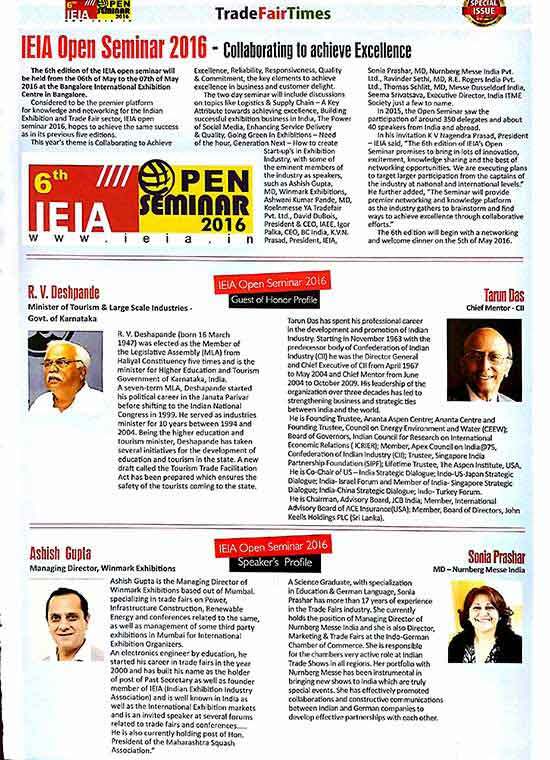 The SIES SOP/PTC would be happy to be part of the events and Endeavour its best support. MCO Winmark Exhibitions Pvt. Ltd. Linking Road Extn., Santacruz (W), Mumbai – 400 054. WINMARK © 2017 All Rights Reserved.